The search for small dog breeds that don’t shed or bark is done by people who don’t enjoy cleanin up huge amounts of dog hair. I wouldn’t blame you for searching for the smartest small dogs that don’t shed and rarely barks. From small dogs that do not shed at all, to dogs that shed on a minimal, here are the dog breeds you need to know that will help you select a breed that is best for you. Affenpinscher translates to “monkey-like terrier,” and this breed’s appearance and intelligence makes the name true. Regardless of its small size, this Toy breed is tough and earless as a rock, and with an Affenpinscher watching things you need not fear of finding dog hair in your food or afraid of unwanted guests. Due to its wiry coat, the Affenpinsher sheds very little and almost has no doggy odor. Brushing it twice a week with a comb and slicker brush is all that you need to keep its coat looking neat and shaggy. This canine requires low maintenance and is quite famous for its sense of humor. If you think this breed is what you need right now, check out the AKC Marketplace for Affenpinscher puppies. 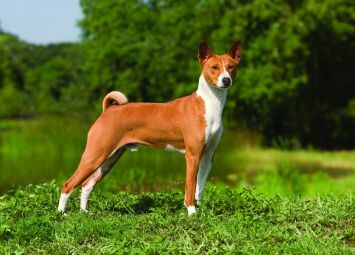 If you are a lover of hounds but dislike their shedding habits and distinctive odor, the Basenji might be the perfect small dog breed for you. The Basenji sheds on a minimal, and its short, fine coat needs little care beyond bushing occasionally. These particular dog breed is famous for it quietness, which makes them an ideal dog for apartments- as long as they get daily playtime and exercise. Think this breed is right for you, check out the AKC Marketplace for Basenji puppies. 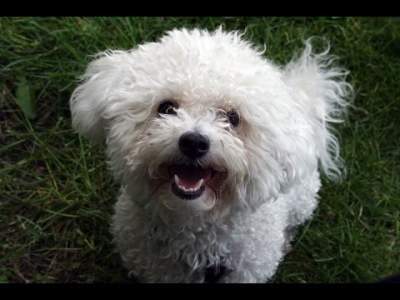 The Bichon Frise is a true definition of a non-shredding small dog breed. These affectionate and playful dogs are an idea dog breed for people who suffer from allergies. However, they are not maintenance-free. This pet hair grows continuously. Thus requiring frequent brushing, grooming, and the regular bath to keep up with their powder-puff looks. If you like this breed, check out the AKC Marketplace for Bichon Frise puppies. Simialr to the Bichon Frise, the distinctive fluffy coat of the Bolognese is made up of hair rather than fur. This dog does not shed, although its dead hair must be brushed out on a regular basis, and the coat needs daily grooming to keep these lovely lap dogs looking their best. If you think this breed is right for you, check out the AKC Marketplace for Bolognese puppies. 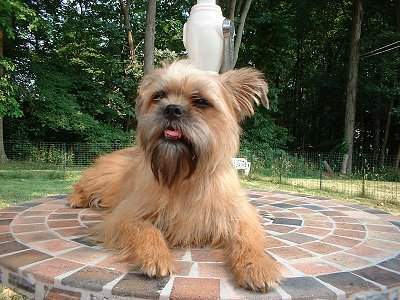 The Brussels Griffo with its small size is certainly not a dog that requires pampering. Both rough-coated and smooth-coated varieties of the Brussels Griff thrive with frequent grooming and minimal shedders. Their small sie means that indoor play and a daily walk is often enough to satisfy their excericise needs, and this loyal little dog does best with families who are mostly at home. 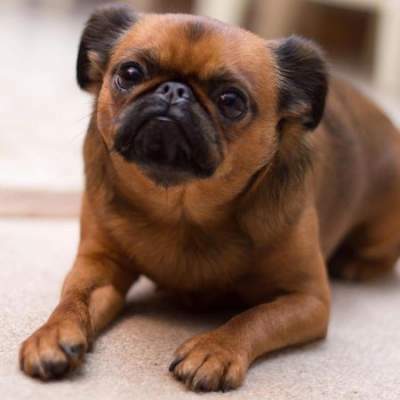 If you think this breed is right for you, check out the AKC Marketplace for Brussels Griffon puppies. One surefire way to avoid shedding is to select a small hairless dog breed. The Chinese Crested come in two tastes: hairless and powderpuff. 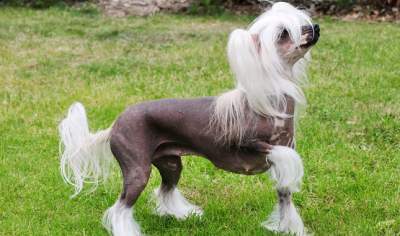 Hairless Chinese Crested grow hair on their heads, feet, and tail, while the powderpuff is covered with a coat of fine hair that sheds on a minimal. Hairless dog breeds require extra care attention and care when it comes to their skin. Without hair, they will need protection from cold and sun and are more likely to experience skin irritations. If you think this breed is right for you, check out the AKC Marketplace for Chinese Crested puppies. 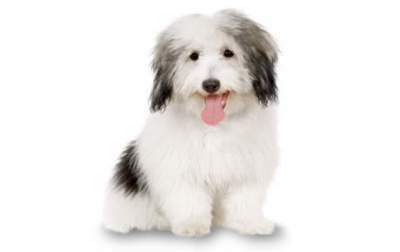 The Coton de Tulear has a coat is is distinct, fluffy, long, and is considered hypoallergic, making it a great choice for people who suffer from allergy and those who love small dog breeds that don’t shed or bark. If you think this breed is right for you, check out the AKC Marketplace for Coton De Tulear puppies. These native Cuban dogs present owners with a coat that doesn’t shed and a patented spunky charm, which means less time spent lint rolling the funityre and more time romping with the fuunfilled Havanese. Hav coats require regular baths and weekly brushing to keep them healthy and clean. 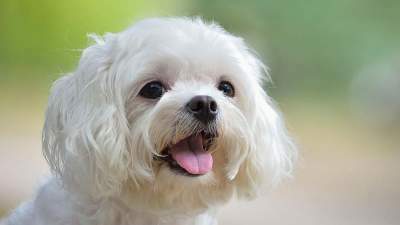 For three millennia, Maltese have charmed their human owners. The ancient dog of Malta has not undergone much change over the past 28 centuries, perhaps in part because of their white, long coats shed very little, making them an almost perfect lap dog. 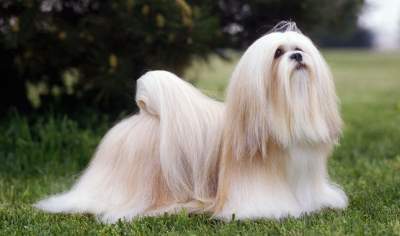 Their coats do require frequent brushing to stop mats from forming, and an occasional bath removes debris and dirt that are unwanted from their silky, long hair. 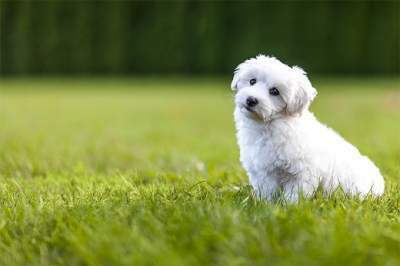 If you think this breed is right for you, check out the AKC Marketplace for Maltese puppies. This particular dog from Tibet makes it a excellent companion. Playful yet Calm, the Lhasa Apso enjoys resting on its owner’s lap and brisk walks. Lhasa Apsos don’t shed, but their coats do require maintenance. Lots of owners keep their Lhasa Apsos clipped in a “puppy cut” so as to avoid grooming daily and brusing of their long hair. 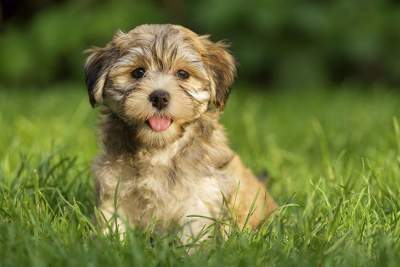 If you think this breed is right for you, check out the AKC Marketplace for Lhasa Apso puppies. 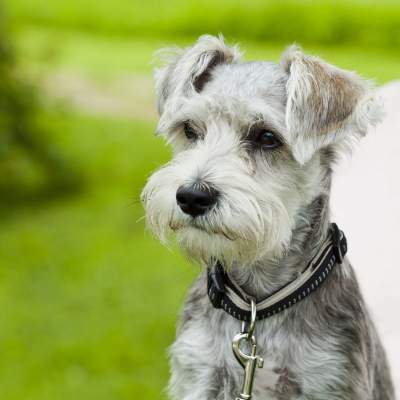 The Miniature Schnauzer is a smart, cheerful, and trainable dog that really does resembles the Standard Schnauzer cousin. This Terrier sheds very little, and their ability to adapt easily makes them fun to be around with when close by. To keep Miniature Schnauzers looking their best, add regular rooming and brushing to their schedule. If you think this breed is right for you, check out the AKC Marketplace for Miniature Schnauzer puppies. This is yet one of the small dog breeds that don’t shed or bark. A lot of people think that Poodles don’t shred and are hypoallergic, they are right, these creatures don’t shed. 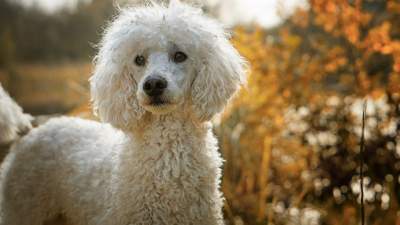 Toy and Miniature Poodles offer these features in petite, intelligent packages that vary in size from Standard Poodles. All Poodles are very intelligent, making them easy to train, and they are proud and active breed. Also, their hair requires no regular grooming. If you think this breed is right for you, check out the AKC Marketplace for Poodle puppies. The Scotties, or Scottish Terrier, is a Terrier breed known for its confidence, boldness, and big personality. The weather-resistant wiry coat sheds very little. Plus, they need not undergo regular brushing, grooming, and the occasional hand-stripping to keep their coats healthy and maintain the breed characteristics. Scotties are independent and clever dogs with strong prey drives, which mean that owners of pets such as this must take care around smaller animals. 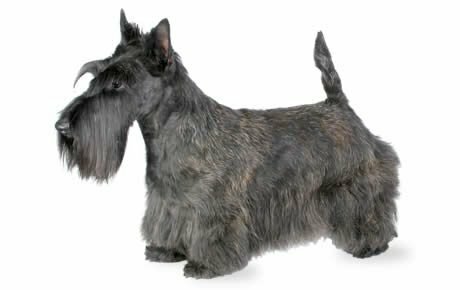 If you think this breed is right for you, check out the AKC Marketplace for Scottish Terrier puppies. 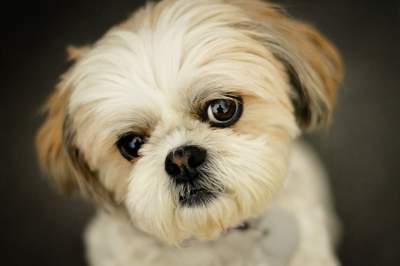 The Shih Tzu is another great breed with a long line of Pedigree. The favored house pet of the Tang Dyanasty, these nicknamed “little lion’s dogs” come in various patterns and colors. Their silky hair (long in height) is very low-shedding and looks exceptionally befitting to kings and princes, thus befitting their royal ancestry. This Toy breed us lively and sturdy, with a carriage often described as arrogant, due to their curling tails and proudly held heads. Shih Tu were bred to be house pets, and their gentle, trusting nature makes them awesome companions. If you think this breed is right for you, check out the AKC Marketplace for Shih Tzu puppies. 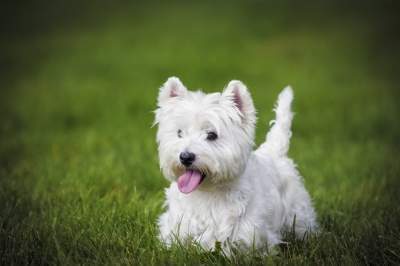 The coarse, white hair of the West Highland white terrier, popularly called by fans as Westies, sheds very little. This little sturdy dig is happy, loyal, intelligent, and highly entertaining. They are curious dogs with moderate energy levels and an independent gene common among all Terriers, can make training challenging at times. If you think this breed is right for you, check out the AKC Marketplace for West Highland white terrier puppies. 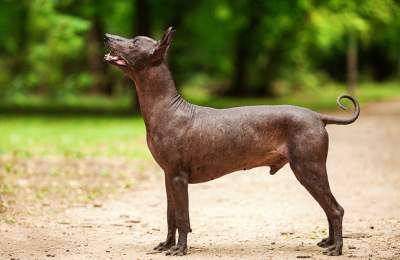 Otherwise known as the Mexican hairless, the Xoloitzcuintli is an ancient and rare breed of dog that can be coated or hairless. The coated variety has a very short, fine coat that sheds minimally, and the hairless varieties retain a smaller mount of hair on their heads. Like any other hairless breeds, the Xolo needs a little extra attention when it comes to their skin to protect them from the elements. Xolos have a reputation of being affection giving and receiving companions plus attentive watchdogs. They like vigorous walks and play and they have an amazing tranquil personality around the home. If you think this breed is right for you, check out the AKC Marketplace for Xoloitzcuintli puppies. Sprightly, tomboyish, and affectionate, the Yorkshire Terrier, often called the Yorkie, is a Toy breed full with a blast of personalities. These funky lap dogs are the seventh most popular dog breed in America, and for strong reasons. Yorkshire Terriers do not shed, and when brushed on a daily, their silky coats are, which is made easy by their small size. Don’t be fooled by their royalty looking bodies – Yorkies have working-class roots. These fearless terriers hunted rats in English clothing mills, although much as changed today as they are just as happy to sit on their owner’s lap as they are running down a rodent. 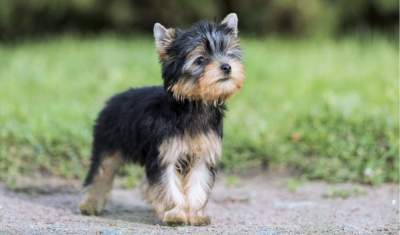 If you think this breed is right for you, check out the AKC Marketplace for Yorkshire Terrier puppies. There are many other small dog breeds that don’t shed or bark, but just because your best friend doesn’t shed doesn’t mean your pet requires zero maintenance, Take out time to carefully research non-shredding dog breeds to find the dog that best fits your personality and lifestyle. To avoid health issues, problems, and challenges, always buy a dog from a reliable breeder, feed it high-quality diet, and take your pet for regular checkups at the vets. We hipo eyou enjoy our list of small dog breeds that don’t shed or bark.